The EUR/USD pair has completed the target of the descending structure, but the ascending impulse has failed to continue. As a result, the instrument has broken 1.0833 and continued extending the descending structure by forming a deeper correction. According to the main scenario, the price is expected to continue falling inside the downtrend with the target at 1.0763. Possibly, the price may test 1.0833 from below. Later, in our opinion, the market may continue moving downwards to reach the above-mentioned target. The GBP/USD pair has broken the low of the first descending impulse and right now continues falling inside the downtrend. 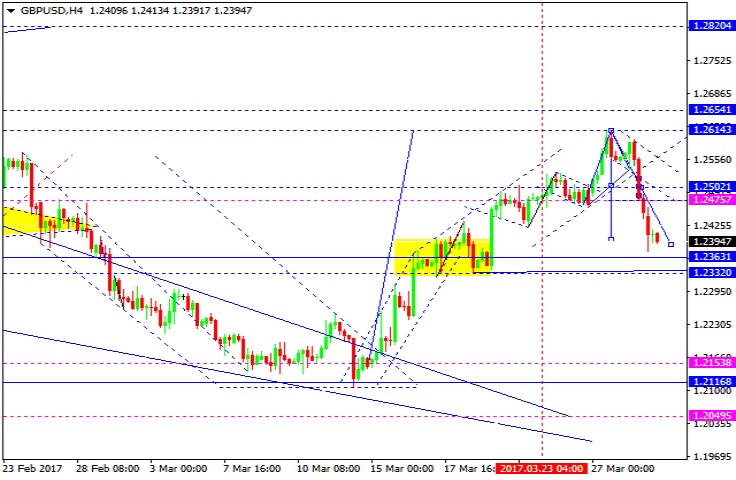 Possibly, the price may reach 1.2360 and then start forming another consolidation range. If later the market breaks this consolidation range to the downside, it may fall to reach 1.2050 if to the upside – start another correction towards 1.2500 to test it from below. After that, the downtrend may continue. The USD/CHF pair has broken the top of the first ascending impulse. 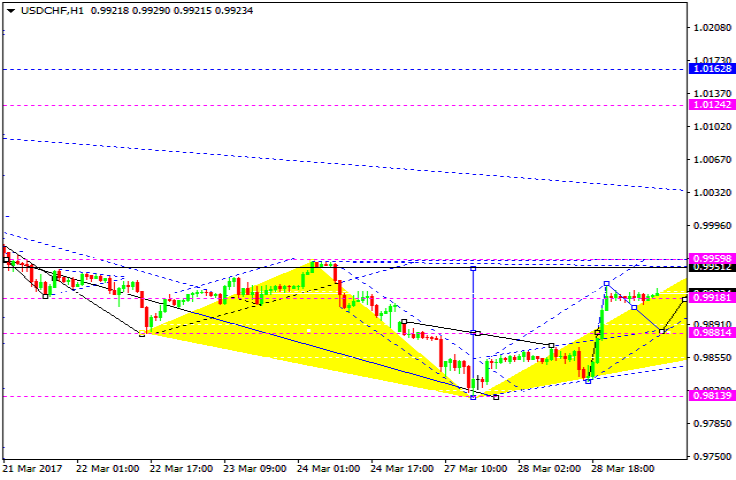 Possibly, the price may reach the target at 0.9950. At the moment, the pair may test 0.9882 from above. Later, in our opinion, the market may continue growing towards the above-mentioned target. The USD/JPY pair has broken the top of the first ascending impulse as well and may continue moving to reach the target at 111.54. 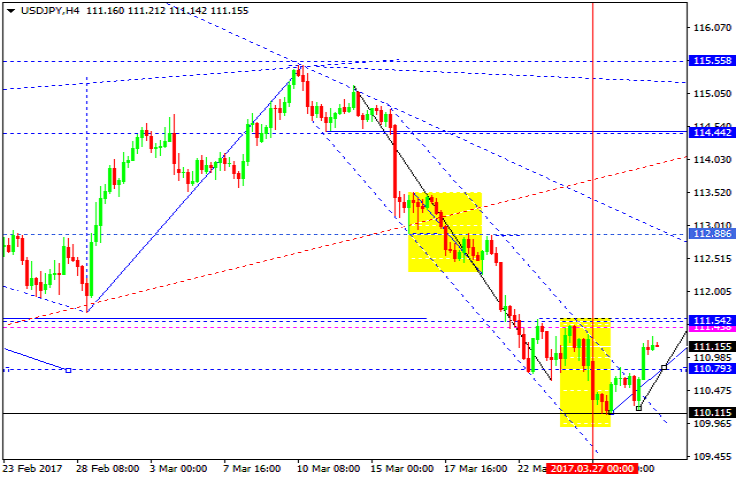 Possibly, today the price may reach the local target at 111.43 and then start a new correction towards 110.79. After that, the instrument may continue growing to reach the above-mentioned target. 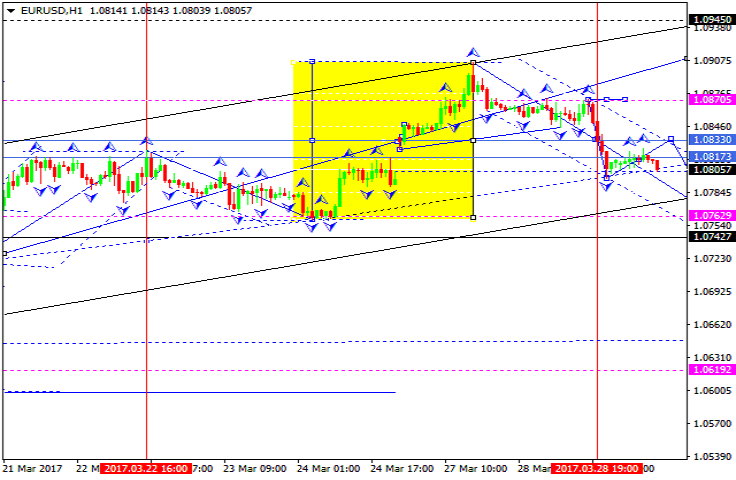 The AUD/USD pair is trading to rebound from the upside border of the consolidation range. 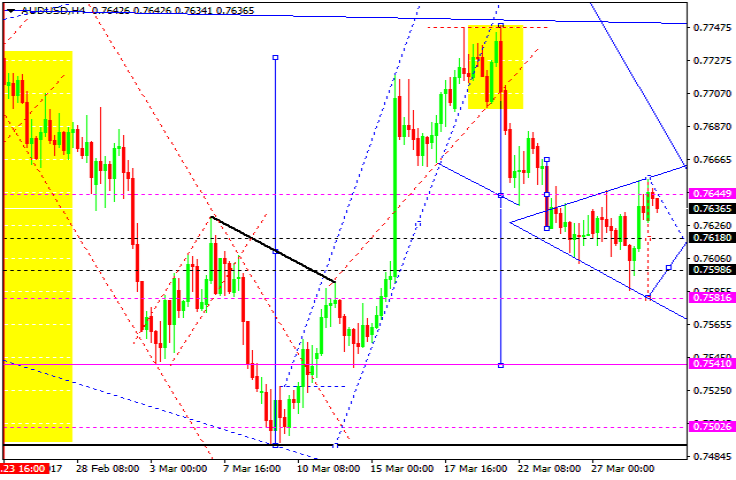 Possibly, today the price may fall while forming the fifth wave with the target at 0.7541. 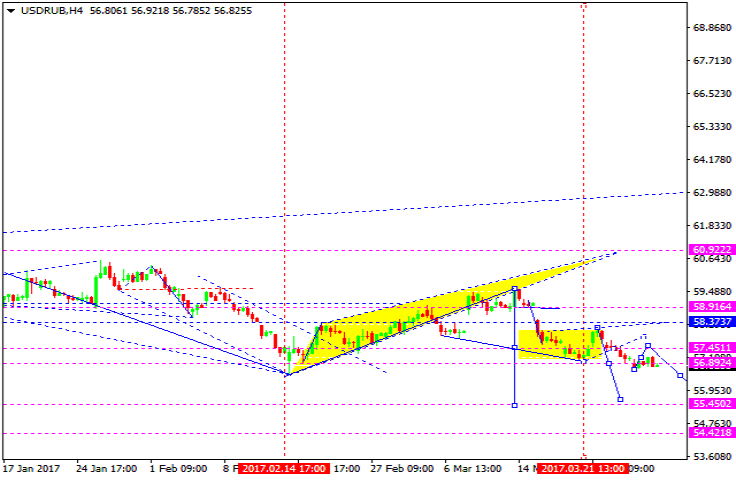 The USD/RUB pair broke 56.89 to the downside again. 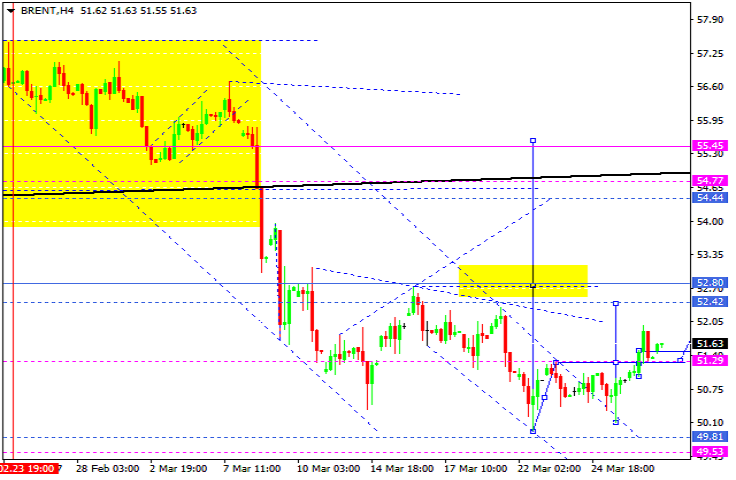 Possibly, the price may fall to reach 55.50. After that, the instrument may grow towards 56.89 to test it from below. Gold has broken the low of the first descending impulse and right now is consolidating below 1245.88. In fact, the instrument is expected to reach 1230.00. 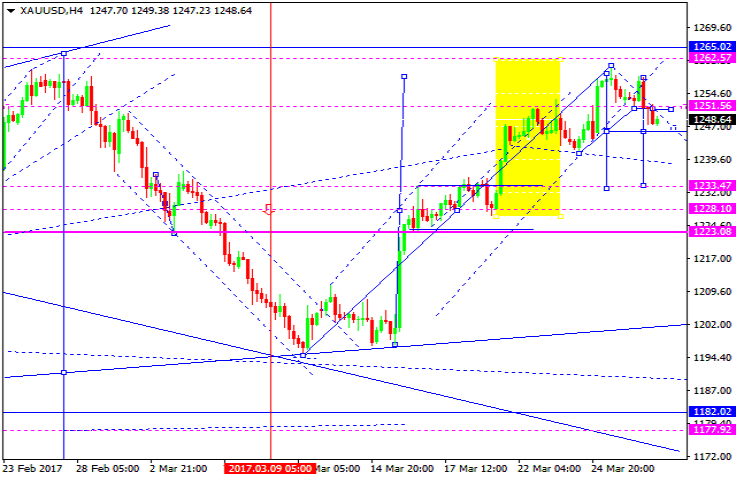 Possibly, today the price may fall with the local target at 1233.50. Brent has rebounded from 51.20, fixed below it, and right now is forming another structure with the local target at 52.42. After that, the instrument may be corrected to test 51.20 from above and then grow with the target at 52.80.